Today’s generation of young people is the largest in history. More than 60 percent of the world’s rural population is made of youth for example, population of 16-40 age group in Nepal accounts for 38.8 percent of the total population. Given that the youth is backbone of the nation from both qualitative and quantitative perspectives, it is necessary to make overall development of the youth and include their capacity in the mainstream of national development. Nowadays, Information and Communication Technologies (ICTs) has been a key platform for the knowledge sharing and networking as development through empowerment to the youth for global change significantly. Though definition of social media depends upon the perception of individual differently, I agreed with that it is forms of electronic communication (as websites for social networking and micro blogging) through which users can create online communities to share information, ideas, personal messages, and other contents. The power of social media is enormous; they have the ability to multiply seeding numbers by 1000s. Youth can use their creativity and also increase their capacity for their future work life. Material is published via web by the youth helping them collaborate across local communalities, country boundaries and influence decision makers in different parts of the world. I believe, young people constitute an important and significant part of the population; yet this is not reflected in their level of involvement in decision-making processes and public debates. In this regards, social media has become most powerful tools to sensitize issues and to give pressure to the concerned stakeholders. Short video documentaries, photos and stories produced by the youth are an excellent way to create a positive social change in their communities. Youth can thus tell about matters close to them and try to create sustainable changes in the society as well as create awareness e.g. on gender inequality. So there is growing momentum on youth participation in social media within the development community. Governments around the world are increasingly supporting youth ministries, youth policies and youth programmes, and there is now greater recognition that young people are the future of their countries’ development. To celebrate World Soils Day on 5 December 2012, AME Foundation, who are the AgriCultures Network member in India, joined the large Indian organisation Society for the Protection of Wasteland Development in a major event for school pupils and teachers in Delhi. Films about living soils, produced by different organisations, were presented as background material for the children, together with different editions ofLEISA India magazine. 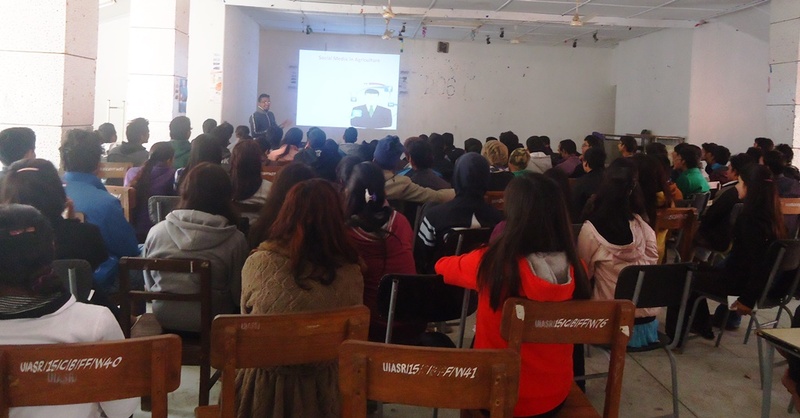 About 18 teachers and 60 students then participated in an essay competition. The students articulated surprisingly well how soils are linked intimately with ecological well being and rural livelihoods. 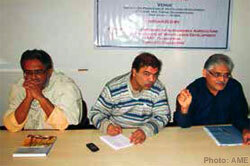 A few weeks later, the city of Hubli was the scene of an international development dialogue on social entrepreneurship. AME’s Director, K.V.S. Prasad was invited to speak at one of the panels, emphasising the importance of family farmers. Prasad highlighted how farmers are often neglected as a constituency, even though they make up 70 per cent of the rural population in India. The audience appreciated AME’s promotion of approaches such as Farmer Field Schools as a way to motivate the rural youth, and the notion of farmers as “shareholders” rather than “stakeholders”. The event made clear that agro-ecological approaches are more relevant now than ever, and that the upcoming 2014 International Year of Family Farming is a key moment to advance this type of agriculture. As noted elsewhere in this issue, the use of live yeast in animal feeds has a long history, here an attempt is made to outline recent publications regarding usage in common animal species and to explore the extent to which recent advances in our ability to identify and quantify changes in the intestinal microbiome is helping to understand the appropriate usage and mode of action of these products. Ruminants represent perhaps the best-developed market for live yeast usage. Available products vary widely in both the strain of Saccharomyces cerevisiae used and the number and viability of yeast cells present. Not all strains of the yeast are capable of stimulating digestion in the rumen. Certain strains of S. cerevisiae can help prevent the decrease in rumen pH associated with feeding a cereal based diet and this appears to be associated with a decrease in rumen lactate concentrations. Acute rumen acidosis occurs when a ruminant ingests a large quantity of rapidly fermented carbohydrates. The microbial changes in the rumen associated with such an event have been visualised as a spiral in which the availability of rapidly fermentable carbohydrate results in the production of volatile fatty acids by a wide range of rumen micro-organisms with an associated drop in rumen pH, thereafter, in some case, an overgrowth of Streptococcus bovis, facilitated by this organisms ability to uncouple growth from carbohydrate fermentation leads to the rapid accumulation of lactic acid and a further drop in pH. As the pH declines lactobacillistart to predominate leading to a further accumulation of lactic acid and a yet further drop in rumen pH. However, whilst acute acidosis can, and in cases does, lead to death due to associated metabolic acidosis, sub-acute ruminal acidosis (SARA), also known as chronic or sub-clinical acidosis, is perhaps a more common, well-recognised digestive disorder that is an increasing health problem in most dairy herds. SARA is a disorder of ruminal fermentation that is characterised by extended periods of depressed ruminal pH below 5.5–5.6. As before, this drop in ruminal pH is a result of the breakdown of dietary carbohydrates particularly from cereal grains leading to the production of volatile fatty acids and lactic acid but unlike acute acidosis the rumen pH does not spiral below pH 5 and indeed may recover to above pH 6 latter in the feeding cycle. Thus cattle experiencing SARA often do not exhibit any clear overt clinical symptoms with the most common ­clinical sign associated with SARA a reduced or erratic feed intake. Recently we have used 16S rRNA to characterise the change in the bacterial population within the rumen of cattle fed an acidogenic diet supplemented with live yeast. 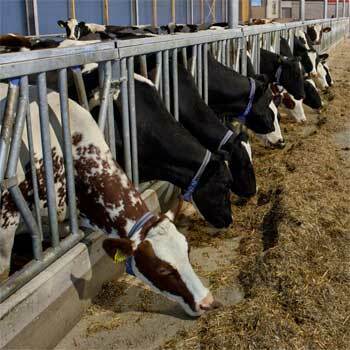 Cannulated lactating cows received a daily ration of corn silage and concentrates plus (0, 0.5 or 5g/d) yeast. Samples from the liquid, solid and solid plus liquid phase of the rumen were collected for DNA extraction. The variation in the bacterial ­community between treatments was assessed by using Terminal Restriction Fragment Length Polymorphism (tRFLP) based on the 16S rRNA gene. There were clear differences between samples taken from the liquid phase of the rumen and those taken from the solids, confirming previous observations that a unique microbial population is attached to feed material in the rumen. It was also obvious that a unique and different bacterial population had developed in the rumen of the animals receiving either 0.5 or 5 g/d yeast. We thus further characterise what these differences might be. Recent advances in massively-parallel pyrosequencing have opened up the possibility of sequencing a segment of the 16S rRNA genes from all the bacteria within a sample. Sequence identification, assignment to bacterial phylogenies based on 16S rRNA sequences available in online databases found that Firmicutes accounting for 50% to 60% of the recovered sequences (depending of the treatment), Bacteroidetes (34% to 40%),Proteobacteria (1.2% to 2%), Actinobacteria (0.4% to 1.2%) and Fibrobacteres (0.6% to 1.5%) with 8 minor Phylum (<0.5%). The relative occurrence of Bacteroidetes and Proteobacteria decreased in yeast fed animals; whilst Firmicutes, Fibrobacteres andActinobacteria increased. When bacteria were classified in functional groupings based on known metabolic activity. A significant decrease in the taxa representing starch consuming bacteria (Ruminobacter), proteolytic bacteria (Prevotella) and an increase in the taxa representing both fibrolytic bacteria (Fibrobacter, Ruminococcus, Eubacterium) and lactic acid utilising bacteria (Megasphaera and Selenomonas) was observed in yeast fed animals. It appears that in ruminants live cultures of S. cerevisiae can help prevent a post-feeding drop in rumen pH in animals fed concentrate diets thus reducing the likelihood of both clinical and sub clinical acidosis, this appear to be due to the ability of the yeast to selectively stimulate the growth of lactate utilising Megaspharera and Selenomonasin the rumen. Live yeast products have also been added to equine diets. Initial studies focused on the effects of yeast supplementation on fibre digestion with small but statistically significant increases being reported. However more recently studies have focused on the ability of yeast to prevent digestive upsets. Horses are extremely susceptible to gastrointestinal disturbance when subjected to sudden changes in diet which can result in alteration of fermentation patterns and ultimately metabolic disorder. Colic and laminitis commonly occur with colic being the biggest cause of mortality in the horse. The prevalence of laminitis in the UK is poorly documented but between 0.5 and 3% of the equid population has been reported as suffering from the condition. When horses are challenged by the sudden incorporation of high levels of soluble carbohydrate in the diet (e.g. starch from grain or fructans from pasture) normal enzymatic breakdown in the small intestine is overloaded and large amounts of readily fermentable starch/sugar pass to the large intestine where microbial fermentation occurs. Rapid fermentation occurs with a rapid accumulation of lactic acid producing bacteria such as Lactobacilli and Streptococci occurring within hours during laminitis and some types of colic. High amounts of lactic acid and gas are produced causing a rapid drop in hindgut pH and death/suppression of the normal fibre degrading bacteria. These events are thought to contribute to impaction colic due to excess gas accumulation combined with dehydration of digesta and laminitis due to endotoxin release when gram negative bacteria lyse and amine production by the suddenly abundant lactate producing bacteria. In 2002, Medina and others reported that lactic acid levels were lower and caecal pH higher in horses fed a high starch diet supplemented with live yeast. While Hale and Hemmings, 2013, have suggested that yeast supplementation slows starch fermentation in the gut of horses susceptible to digestive upset. Detailed studies on the microbiome of the equine gut are just starting to appear, e.g. Dougal and others in 2012, and as yet no detailed pyrosequencing studies on the effect of yeast supplementation on the intestinal microbiome have been published. However, Brown and others, have this year presented real time PCR based data suggesting that numbers of carbohydrate fermenting lactic acid producing bacteria in faeces decreased when yeast was added to the diet of horses challenged with high concentrate diets. Live yeast products have also been used in pig nutrition, however the mechanism of action seems to differ from that reported above for equids and ruminants. Studies have focused on immunostimulation (in the sow or piglet) and pathogen prevention rather than on performance. Recent studies have demonstrated increases in immunoglobulins in sow milk and reduced diarrhoea in the piglets and reduced weaning to oestrus intervals in sows. Pathogen challenge trials have demonstrated binding of E. coli to yeast cell walls, reducing diarrhoea in piglets following E. coli challenge and a reduced mortality following endotoxin challenge. Only limited studies have investigated performance responses and although detailed studies on the porcine gut microbiome have been reported, studies investigating the effect of live yeast appear to date to have used only relatively low resolution approaches. Studies on the effects of live yeast in companion animals (cats and dogs) are in their infancy. A number of studies have been published on yeast as a source of active compounds rather than the live yeast activity itself (mannan, glucans, proteins, nucleotides) or yeast cell walls. In 2013, Beloshapka and others, used 454 pyrosequencing to investigate the effect of yeast cell walls on the intestinal microbiome of dogs and we have recently completed a study to investigate the effect of live yeast on the intestinal microbiome of cats fed a high fibre diet. In conclusion, the use of modern molecular techniques has shown that yeast not only stimulates bacterial activity in the gut of animals but also change the composition of the bacterial population. We believe that such techniques will accelerate efforts to help understand where and when live yeast probiotics can be used to improve ­animal health and productivity. Family farmers face climate change, limited water availability, rising fuel costs and unknown market opportunities, while their lands are coming under increasing pressure. They require access to information, and the knowledge that can help them deal with the complexity of the context in which they live. Most rural areas nowadays have access to some form of education. Nonetheless, the agricultural education system often has many shortcomings. Many get frustrated because the education available does not provide them with the answers they are looking for. Education rarely prepares youth for a future in agriculture and often encourages them to migrate to urban centres. Girls and women often don’t have the same educational opportunities. Many experiences are showing that agricultural education can do much more: it can be a powerful tool in strengthening the social value attached to farming. It can make people aware that there are low-cost and sustainable alternatives to “modern agriculture” which, for many small scale farmers, can be a route into debt and misery. Clearly changes are needed at different levels – at vocational schools and agricultural universities, but also in informal and adult education initiatives and even at primary schools – so that education makes a positive contribution to agriculture. Agricultural educators – whether extension agents from public or private sector, university professors, school teachers or farmers themselves – need to become agents of change. They need to support farmers in the task of reconnecting to the agro-ecosystems that they manage, rather than becoming increasingly disconnected from them. 3 years! Can you believe it? Prior to National Ag Day 2010, I was involved in social media and advocating for the agriculture industry, but I had yet to really find my spot. That all changed with one tweet. I posted my response on the Working Ranch magazine blog I was writing at the time and received far more response than I could have ever imagined. That planted the seed for this blog and the I am Agriculture Proud theme I use across several Social Media platforms. Why are YOU Agriculture Proud? I feel it appropriate to share those original thoughts on National Agriculture Day 2013 and encourage you to do the same. YOUNG SCIENTISTS will be at GRiSP Asia Forum in October 14-18, 2013 in Manila, Philippines. Submitted abstract must be related to one of the GRiSP Product Lines. The abstract must be less than 200 words. Abstract submission will be opened on April 1, 2013. Interdisciplinary Conference of Young Earth System Scientists 2013: Understanding and Interpreting Uncertainty 22 – 25 September 2013, Hamburg, Germany. We are pleased to announce the Interdisciplinary Conference of Young Earth System Scientists 2013. ICYESS is an international and interdisciplinary conference, organised by and for young scientists (Master’s and PhD students as well as young PostDocs). The conference brings together scientists from various disciplines including natural, social and political sciences, economics and sustainability research. The main purpose of the conference is to promote interdisciplinary exchange and mutual understanding between the diversity of research fields in Earth system sciences. It will enable you to present and discuss your own research in an interactive and innovative way, and to expand your networks at an early career stage. The common theme of this conference is Understanding and Interpreting Uncertainty. This means that we invite you to join ICYESS to present your research and to jointly reflect on how we deal with uncertainty in our work and disciplines. For more information please visit <http://icyess.eu> , E-Mail: icyess2013@yess-community.org. There are no participation fees for ICYESS 2013. We (ICARDA, ARC, IFAD, FAO) welcome conceptual papers, empirical research, case studies and success stories. Papers should focus on one of the conference’s emerging issues and potential solutions. The conference will be held in 24-26 June 2013, Cairo, Egypt. Sound policies for food security and agricultural water management are critical for national economies – and particularly for dryland areas, where water resources are already scarce, and declining rapidly. Abstracts (maximum 500 words) should be submitted by 20th April 2013, presentation on at the conference, authors will be requested to submit full papers by 15th May 2013. The First International Conference of the Asia-Pacific Society for Agricultural and Food Ethics (APSAFE2013) be held at Chulalongkorn University, Bangkok, Thailand from November 28 to 30, 2013. The conference will be a forum for exchange of research findings and networking among academics in various disciplines, as well as policymakers and other stakeholders on the topic of ethical implications of food and agriculture, broadly construed. Papers must deal with food and agricultural ethics and related disciplines such as sociology, anthropology, philosophy, food science, biotechnology, veterinary science, agricultural sciences and other topics relating to qualitative analysis of food and agriculture. Submission deadline is 31st May 2013. The National Youth Council of Mauritius (NYC) is organising an International Youth Forum (IYF) in 11- 18 October, 2013. This event will enable the 200 best youth leaders from around the world to meet and interact on the same platform. The goal of this forum is to promote collaborative actions which will enable future leaders to cope with the challenges they may encounter in any of the scopes, and generate a change in any of them. Topics of discussion would include leadership, politics, humanities, entrepreneurship, career, unemployment, social work, volunteerism, environment, culture & tradition and others. This 8-day international forum will be a premier in Mauritius. This first step will, hopefully, become a custom each year to bring together the best youth leaders from around the world under one hub to discuss on contemporary issues – leadership, politics, humanities, entrepreneurship, career, unemployment, social work, volunteerism, environment, culture and tradition. Hurry up and apply now. Deadline: 30th March 2013.